We've officially entered late August, which means 1) it's humid as heck and 2) summer's almost over. These two things mean we should all be eating as much ice cream as our bodies and bank accounts will permit, both to enjoy ice-cream weather while it lasts and to keep ourselves cool and sane. 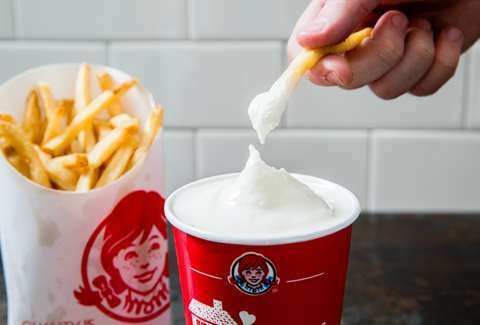 Luckily, your bank account is about to permit a lot more ice cream: Wendy's knocked the price of Frosties back down to 50 cents. Wendy's did this back in May, a simpler time when we had a whole summer ahead of us. If you didn't take advantage of it then, understand that this your chance to fill an entire bathtub up with Frosties for a not-unreasonable amount of money. Or at least half of what it would normally cost (a Frosty will usually set you back a dollar). You honestly can't afford not to. And remember, that whole thing about dipping fries actually has science behind it.